Showing results for tags 'kreia'. ======================================================== A KNIGHTS OF THE OLD REPUBLIC II: (THE SITH LORDS) MODIFICATION Kreia's Fall cutscene (in-game) ======================================================== Author: danil-ch Contact: danil-ch can be reached via pm at deadlystream. 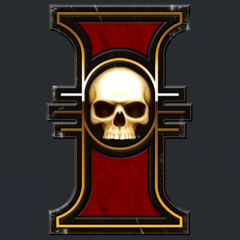 Filename: Kreia_Fall_In-game_1.1 1. 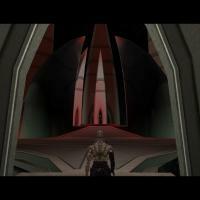 Description: ---------- This is a Kreia's Fall scene turned from BIK movie into in-game cutscene. 2. 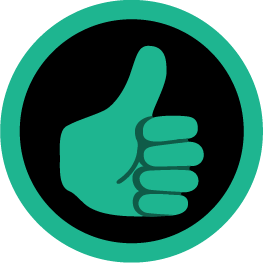 Install: ---------- (It is highly recommended that you update your game to version 2.10 (the 1.0b update) before installing this mod. This is a mod for TSLRCM 1.8.5, it will not work otherwise. So have that installed. To install, extract the Main Patch folder to anywhere you like, as long as it is not the SWKotOR2 folder. Simply run 'install.exe’ from within the "Main Patch" folder. 3. Uninstall: ---------- There has been a backup made of the modified files, within a folder titled 'backup' in the 'Main Patch" folder. Simply copy 003EBO.mod into your Modules folder and appearance.2da into your Override folder, and delete baseitems.2da (Override), 910mal.mod (Modules), mus_a_kremov.mp3 (StreamMusic) and you will have reverted to TSLRCM 1.8.5. 4. Bugs: ---------- This has been tested several times to make sure nothing weird happens. If you find anything, let me know. 5. Compatibility: ---------- For this particular scene I’ve created several models 1) Lightsaber (no sound) baseitems.2da - Added Row_104_Lightsaber_No_Sound 910.mod - g_w_lghtsbr_cut.uti 2) Characters (no sound) appearance.2da - Added Row_692_Kreia_Evil_Fall_Cutscene_Only 910.mod - p_kreia_evil001.utc appearance.2da - Added Row_ 693_Darth_Sion_Fall_Cutscene_Only 910.mod - n_darthsion.utc 6. 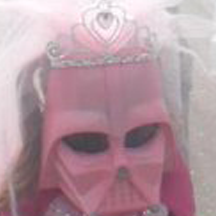 Thanks: ---------- *DarthParametric for his help. *TSLRCM team, your work has been outstanding. THIS MODIFICATION IS PROVIDED AS-IS AND IS NOT SUPPORTED BY BIOWARE/OBSIDIAN ENTERTAINMENT OR LUCASARTS OR ANY LICENSERS/SPONSORS OF THE MENTIONED COMPANIES. USE OF THIS FILE IS AT YOUR OWN RISK AND THE ABOVE MENTIONED COMPANIES OR THE AUTHOR IS NOT RESPONSIBLE FOR ANY DAMAGE CAUSED TO YOUR COMPUTER FOR THE USAGE OF THIS FILE. =Leilukin's Kreia Reskin= A KNIGHTS OF THE OLD REPUBLIC II: THE SITH LORDS MODIFICATION AUTHOR: Leilukin FILE NAME: Leilukin's Kreia Reskin.zip LATEST VERSION: 1.1 CONTACT: E-mail to leilukin[at]gmail[dot]com, or message to Leilukin on Deadly Stream 1) DESCRIPTION: This is my first texture mod. This mod will replace and update Kreia's textures, including her default texture and her Darth Traya texture. 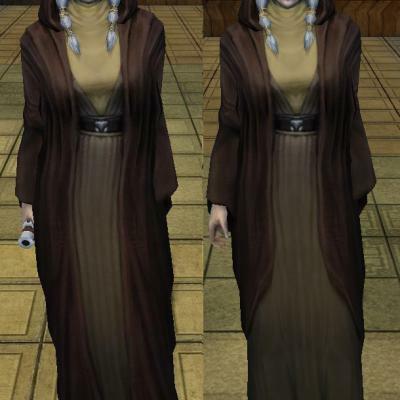 This reskin mod attemptes to improve Kreia's textures by making her wrinkles more visible, making the folds on her robes look smoother, slightly adjusting the color of her default robes, improve the texture of her belt. I add a shiny golden texture to Kreia's default hair accessories. I use the CM_FakeGold2 cubemap from Darh Sapiens' Cubemap pack (http://deadlystream.com/forum/files/file/498-modders-resource-cubemap-pack/). 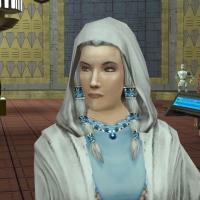 I also provide an alternate version that Kreia's hair accessories are not shiny for those who want it. The size of each texture has been increased to 2048 x 2048 px. 2) INSTALLATION: Go to the "Installation" folder. You'll see the folder contains the following files: CM_FakeGold2.tga CM_FakeGold2.txi P_KreiaA.tga P_KreiaEvilA.tga P_KreiaEvilH.tga P_KreiaH.tga P_KreiaH.txi Drop all the above files in your Override folder. 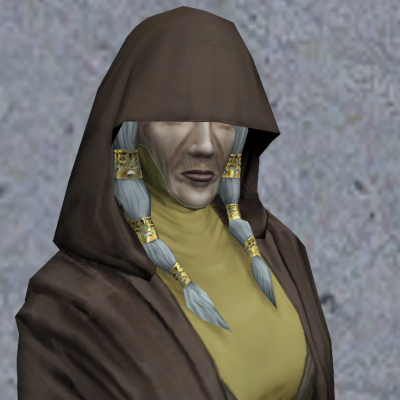 If you want the alternate vertion that Kreia's default hair accessories are not shiny, after installing the above files, go to the "Alternate - No Shiny Hair Accessories" folder, drop the P_KreiaH.tga in your Override folder, and overwrite when prompted. 3) UNINSTALLATION: Delete the aforementioned files from your Override folder. 4) MOD COMPATIBILITY: This mod is not compatible with any other mods that modify Kreia's texture. 5) PERMISSION: You may use this mod as you see fit, including showing it in screenshots or editing this texture for your personal use. However, if you want to use this texture as a base for your own mod, please ask for my permission before releasing your mod. If I give you permission for it, I request that you credit me when you release your mod. Thank you. I do not use nor support Steam Workshop, so I do not wish any of my mods to be uploaded to Steam Workshop. 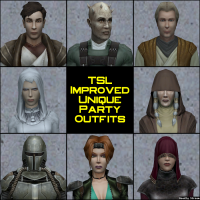 6) CREDITS: Darth Sapiens for his Cubemap Pack (http://deadlystream.com/forum/files/file/498-modders-resource-cubemap-pack/) Fred Tetra for the KotOR Tool THIS MODIFICATION IS NOT SUPPORTED BY BIOWARE/OBSIDIAN ENTERTAINMENT OR LUCASARTS OR ANY LICENSERS/SPONSORS OF THE MENTIONED COMPANIES. USE THIS FILE AT YOUR OWN RISK AND NEITHER THE ABOVE MENTIONED COMPANIES NOR THE AUTHOR IS RESPONSIBLE FOR ANY DAMAGE CAUSED TO YOUR COMPUTER FOR THE USAGE OF THIS FILE.